The end of Al Qaeeda? 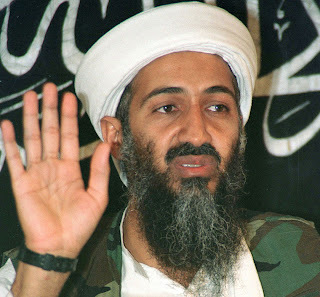 The US has announced the leader of Al Qaeeda, Osama Bin Laden, has been killed. What does this mean? On the ground in terms of the US’s fight against terrorism, it means nothing. Al Qaeeda will continue to function as it is. It is not an organisation in the traditional sense of the word. It is an idea, and there are people that affiliate to that idea, that are inspired by it and give themselves the name of the Al Qaeeda brand. That is not going to change. America has given Osama Bin Laden what he wanted, martyrdom. He is now a martyr for his cause and there are many have followed, and many others who will follow in his footsteps. You can have someone on the other side of the world, that has never set foot in a training camp, has never met Osama bin Laden, and that has never met anyone proclaiming to be from Al Qaeeda, but can still plan and carry out an attack in the name of Al Qaeeda. The Madrid bombings were carried out by people who had never met Osama Bin Laden. Al Qaeeda is a brand and has become a rallying call for those that are frustrated and angry at Western intervention whilst following the hard line Saudi wahabism. America cannot kill that with a team of special forces. But as the news spreads out across the world, it raises more questions than it answers. Why was Osama bin Laden in a town north of Islamabad, when he could have had sanctuary in Swat, Waziristan or any other tribal area of Pakistan? Why was his body dumped at sea? Not to create a shrine? But if the Americans knew anything about Osama bin Laden and his followers then they would know that hard line Wahabi Salafis do not go to shrines, are vehemently opposed to them and in the case of Somalia go around and destroy them. What traditional Islamic ritual was performed? Did they bathe the body? Pointless if you are going to drop it in the sea. Did they get somebody to perform the Muslim funeral prayer? In between shooting him and loading him onto a helicopter? Many will be suspicious of the US narrative. Many believe he was killed years ago since he has not played a major frontline role in recent years. Questions are also raised about the role of Pakistan in this. Did the usually all-knowing ISI not know about Bin Laden’s whereabouts, or did they know and choose not to tell? If it is the latter it raises more questions, did they tip the US off or were they harbouring him? The media narrative, at least in the American press, has been that Bin Laden has finally been brought to justice via a barrel of a gun. A great message to send out, no doubt. But when the Taleban offered to hand over Osama bin Laden to Pakistan so he could be tried in 2001 America refused. Again, this leads many people across the Muslim world to question the premise that the so called war on terror is actually to fight terror. The common narrative is that this all started with 9/11. In the real world, a world where people have known imperialism, it started a long time before 9/11. It stems from the conquest of Muslim lands and the division of those lands into individual sheikhdoms for dictators the West supported, armed and loved. Our men in the Middle East. Colonial powers drew lines in maps with complete disregard for the people living in those lands. Then those very people were oppressed, physically, mentally and economically. Is it a wonder that people around the world view the West with suspicion? Al Qaeeda and similar groups will live on as long as Western governments show double standards, hidden agendas and hopes of empire. Now Osama Bin Laden has gone, who will the next bogeyman be?